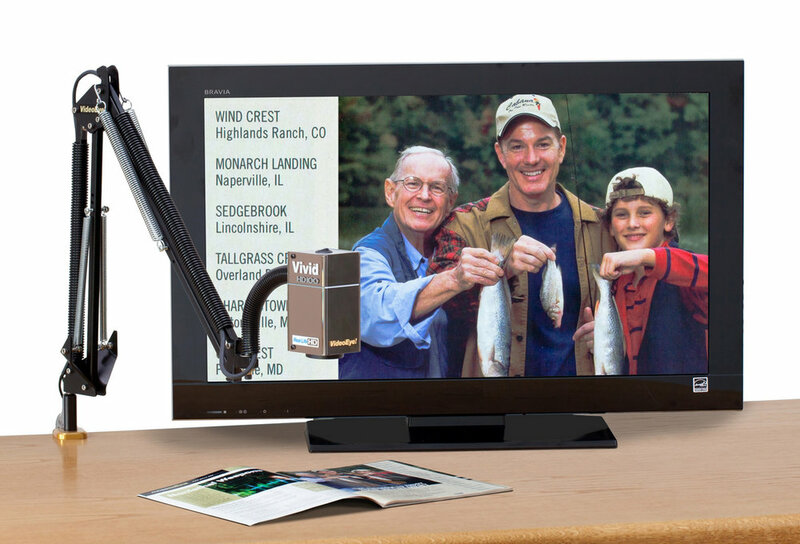 The HD100 VideoEye brings high definition clarity and simplicty of use together. It magnifies from 4x to 28x power. The field of view goes up to 9" wide at 4x power. 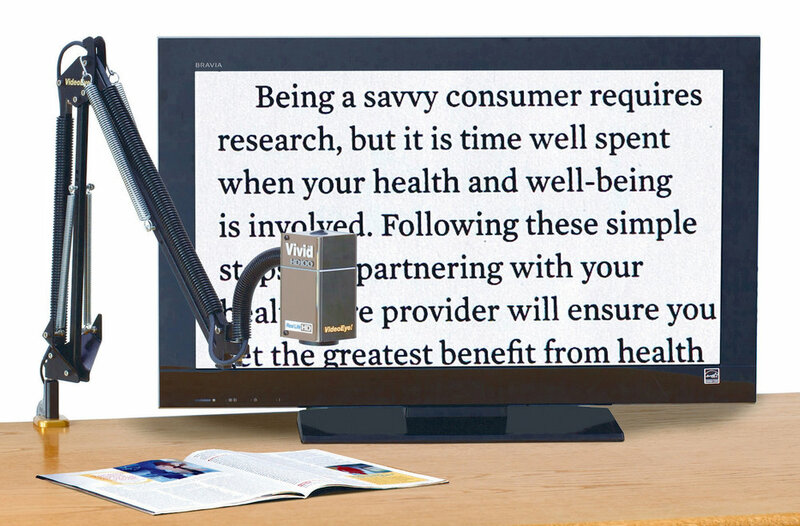 At 28X power, it magnifies newspaper print to more than 2” high on the screen. The magnification adjusts by raising or lowering the camera. When the camera is closer to the material, it magnifies more. You will be amazed when you magnify family pictures and photos with the HD100. You can see detail that you miss without high definition magnification. Fully automatic, you just switch on the HD100 VideoEye. There are no controls to adjust. Autofocus takes over as it brings a clear high definition image to the screen. Magnification power is easy to control by simply raising or lowering the camera. It focuses automatically from any distance. The HD100 is a great reading companion also. The autofocus system works perfectly. You will appreciate how easily the camera moves to any position you want to see. The camera effectively floats on the precision articulating arm and responds effortlessly when you guide it to any position.